Discover Trump, Inc. Rudy, Inc.
Rudy Giuliani has had many identities in his time on the public stage. A crusading federal prosecutor who struck terror in mobsters and Wall Street titans alike. A sometimes cantankerous New York City mayor who became a national hero for his stirring leadership after the 9/11 attacks. And, currently, President Donald Trump’s unpaid attorney in the Russia collusion investigation being led by Robert Mueller. 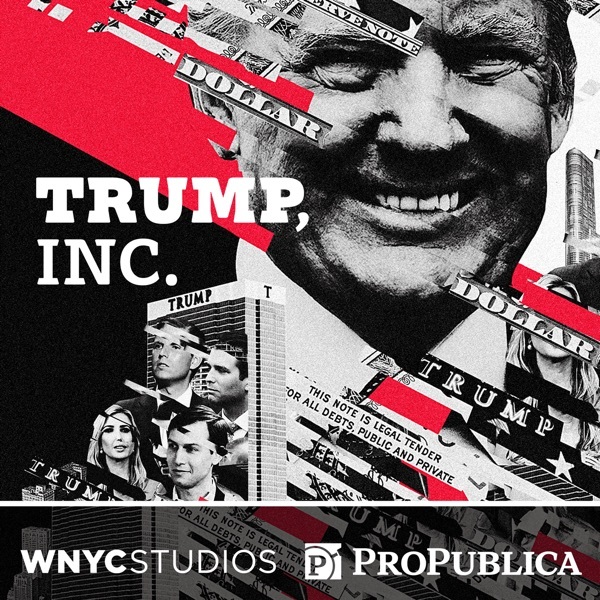 In this week’s episode of Trump, Inc., we’re digging into a part of Giuliani's work that has occurred largely outside of the spotlight: He has often traveled to Russia or other former Soviet states as guests of powerful players there. And since Trump was elected, he appears to have stepped up the frequency of those trips. While in Armenia, Giuliani also attended a technology conference (one of his businesses advises on cybersecurity). The conference program listed him as appearing on a panel that also included a Russian currently on the U.S. sanctions list imposed after Russia's invasion of Crimea. There are many things we don't know about Giuliani's trips. We don't know whether he's being paid, and if so by whom. Giuliani declined to answer our questions. One thing we do know is that a company called TriGlobal Strategic Ventures claims credit for organizing the trips. Abramyan is on TriGlobal’s board, as is a former Russian government minister. TriGlobal and Abramyan also did not respond to our questions.